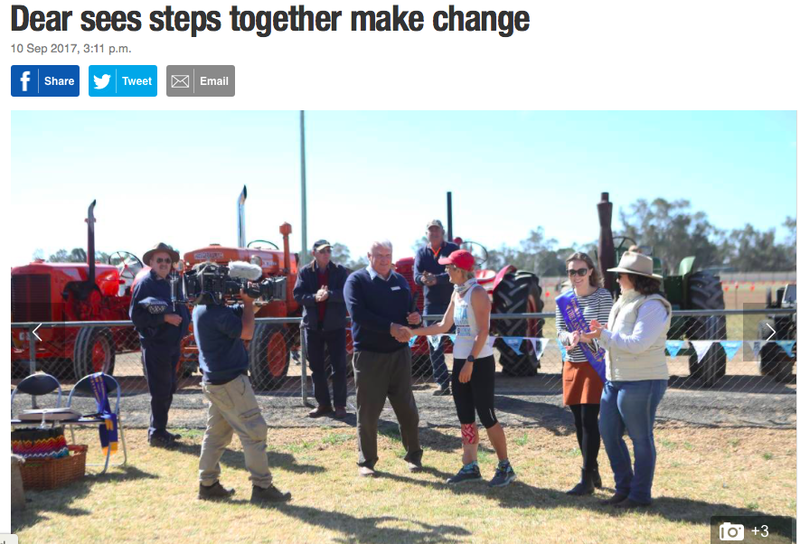 Ultramarathon runner Kirrily Dear was battling leg pain by the time she ran in to Forbes Show on Saturday afternoon, but it hasn’t stopped her plans to run 1300km run to stop domestic violence. Dear is running from Broken Hill to Sydney, raising awareness of family violence and encouraging people to speak out about it. It’s been an inspirational journey. “Every day people are taking their own steps towards a better community; a community where kids are safe, people are healthy and the future is positive,” she wrote on her Facebook page. “These steps are being taken in medical centres, schools, youth centres, through local council programs, by individuals who just reach out and help. “So often we feel like the steps are just being taken on a treadmill and not moving us forward. Kirrily’s run will finish in Blacktown on Sunday.